Welcome to the first location in my new series of travel guides. Kicking off with the Dordogne region in France, this is the place I've travelled to more times than I can count on my fingers and toes. Working it out, I've probably been there about 35-40 times, so I've got to know the area quite well! It also happens to be one of my favorite places I've ever travelled- it's totally relaxed, benefits from amazing weather in the summer and I love the chilled French culture in the area. What's more, with cheap plane tickets, it really doesn't take a lot of time or money to get there. The best time of year to go in my opinion is from June-September. At these times you’ll get the benefit from the most amount of sun and therefore being able to do a wide range of activities outdoors. Although the scenery and landscape is beautiful all year around, there's something about the fields of sunflowers that gets me every time. 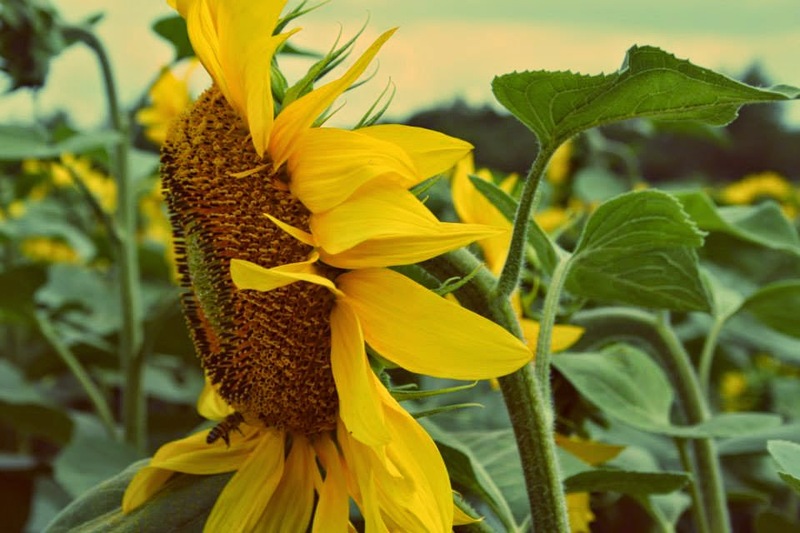 The Dordogne region is known for its sunflower fields. Many of the people I know also however, like it there in the winter. They do lots of walking, geocaching (it is an ideal place to do any outdoor endeavors), sitting by open log fires, reading and playing board games. It just depends on what kind of holiday you want. If this is your scene, then prices are extremely cheap for accommodation during the winter, and there are little to no tourists. 1. Canoeing- Canoeing down the river Dronne is one of the most iconic things you can do in the region and for good reason. The scenery is beautiful, and paddling past little villages and the excitement of going down weirs is a great way to spend a cloudy or sunny day. Canoes can be rented from a variety of places, but I recommend getting them from a nice local place at Renamont, where they will drop you offer higher up the river depending on how long you want to go canoeing for, and you’ll end up back at this very relaxed river beach to end your paddle with a beer and some chips and mayonnaise. If you want a short canoe trip (about an hour and a half) then Creyssac is a the place to go from, although you wont get as many spectacular views as from longer trips. Bourdeilles or Brantome to Renamont is a beautiful journey. You can always pack a picnic and stop off along the journey. The villiage of Brantome is a very popular tourist spot and a perfect place to canoe through. The wooden section of the weir on the right hand side is where I had the misfortune of getting stuck once much to the amusement of tourists looking down from the bridge. 2. Troglodyte Dwelling Exploring- Troglodyte dwellings are scattered around the whole of the region. These pre-historic caves and grottes are amazing to look around. This website displays the locations of the main ones, although a quick Google search in the area you're staying in will bound to have some nearby. 3. 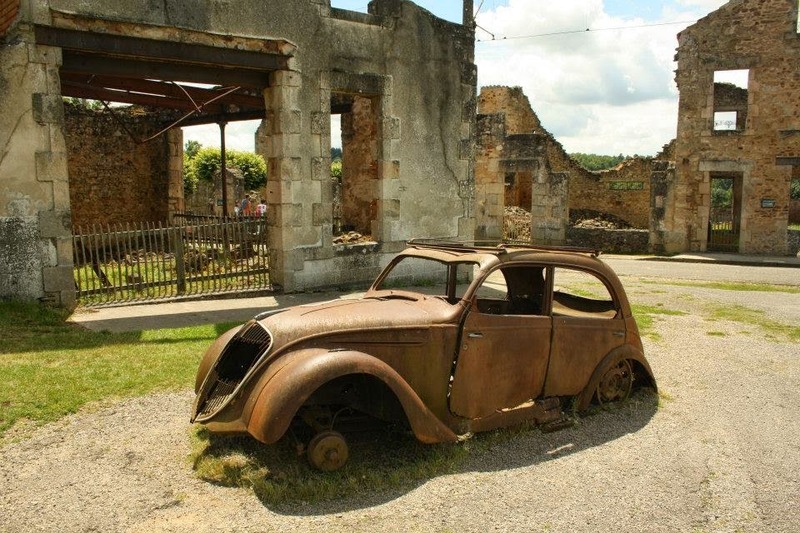 Oradour-sur-Glane- Although this place is just outside of the Dordogne, it's impossible not to be moved by it's history so I thought it was worth a mention. 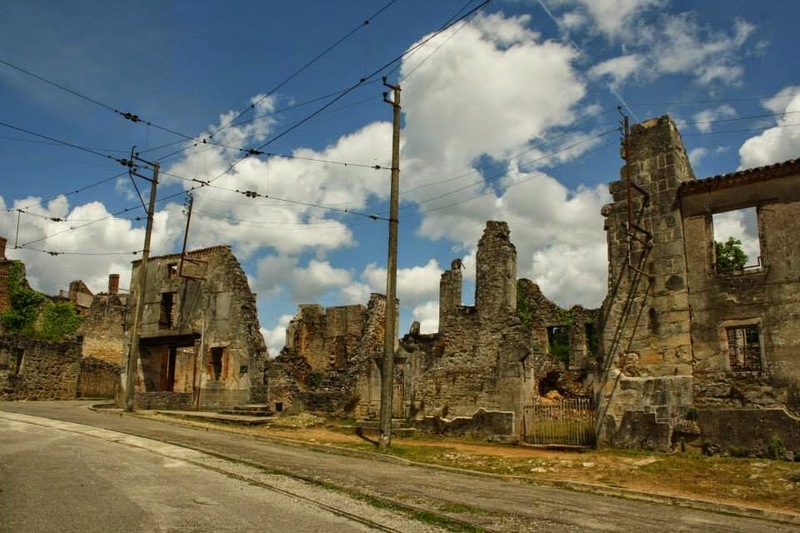 Oradour-sur-Glane is a war memorial site of a village that was attacked by the Nazis in 1944, massacring 642 people. The village has been preserved in its original state, and there's now a memorial museum as part of the site. You have to pay to go into the memorial museum section, but the village is free to walk around and is definitely worth a visit. Make sure you walk right to the back of the cemetery in the village as there are remains to look at in the cabinets mounted on the floor. Photos are not meant to be taken around the area but every single person does. It is important to be quiet and considerate of others within the grounds however so care must be taken not to be disrespectful during your visit. 4. Swimming- Swimming has always been my favourite thing to do in the region since I was able to paddle! 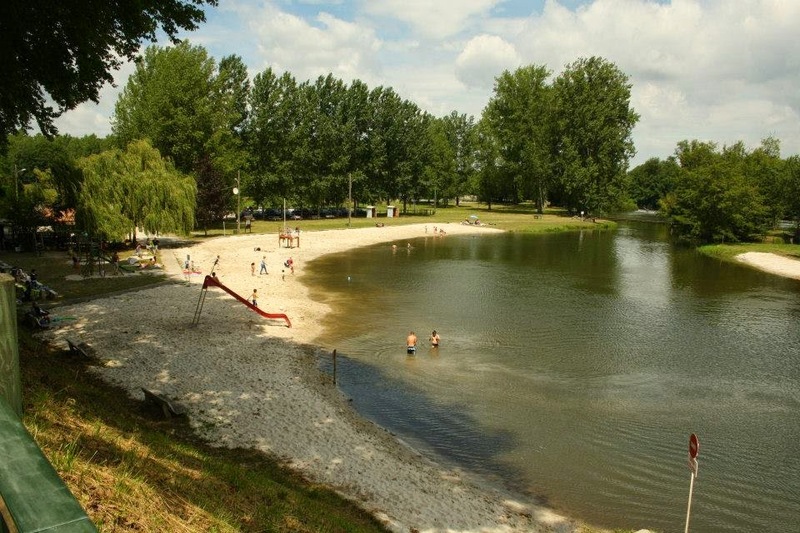 Swimming in the River Dronne and the several lakes dotted around is the perfect way to cool off during the summer. There are many swimming locations I’ve been to over the years, but my top three would be Aubeterre sur Dronne (also has a great campsite and village to eat lunch or have drinks), La Guinguette de Renamont (a more relaxed vibe with low key bar and music on some evenings in the summer) and Grand Etang de la Jemaye (great place to go with kids as there's a well developed playground and walk around the lake). However there's other places marked on the map where you can swim. 5. Markets- Markets are great place to buy gifts for family members and try local produce. Over the year’s I've seen prices shoot up- so just be careful that you convert the prices to your native currency so you don’t get ripped off. Generally I would steer away from hard haggling, however over the years I have bargained with one or two of the market stall owners. Here are a list of the main markets. I personally would recommend Riberac market which is on a Friday. Look out for signs for night markets as they are always a lot of fun and often entail fireworks and live music. Each commune gets a budget from the French Government to put on these firework display and they're always pretty impressive. 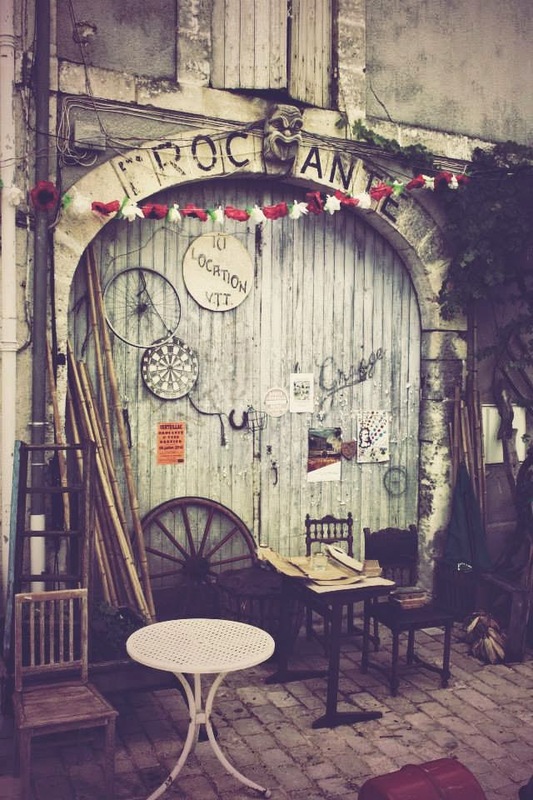 Check out Brocantes- they're always a lot of fun to look around and you can find some real authentic bargains. Cycling, wine tasting, chateau exploring, a day trip to the coast in Bordeaux, mini golf at Saint Séverin, walks around Bourdeilles and Brantôme, drinks in Verteillac or a cheeky pizza on the riverside at Creyssac. 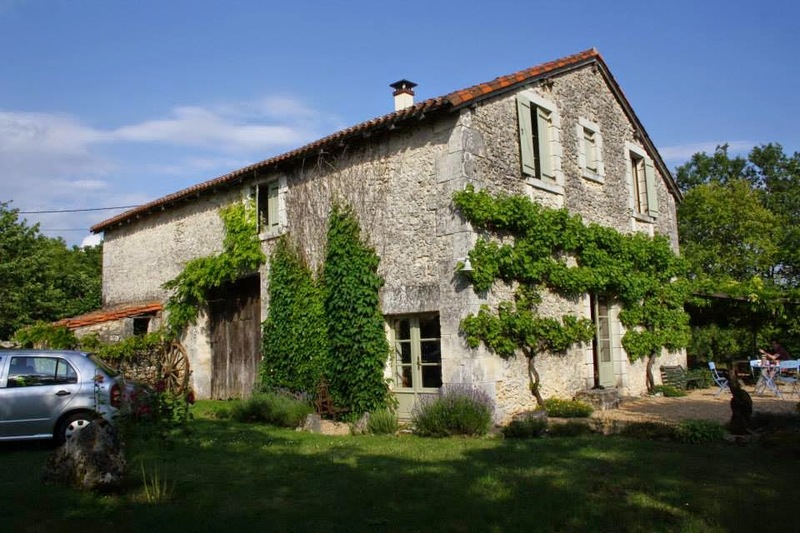 Houses & Gites- As this series progresses, you will see a running recommendation for the website AirBnB, a website that you can rent rooms or houses from all over the world. Although i have been lucky enough to stay in my family home for the majority of the times I have visited, this website is so good for finding authentic and comfortable places to stay. The gite I have stayed in before is here. The rates were very reasonable, and the location was excellent. The owners were really helpful, and the house itself was comfortable and extremely peaceful. The only downside I would say was that it didn't have a swimming pool- but I am definatley a swimming fiend when it comes to holiday accommodation! Gite in the small villiage of St-Julien-de-Bourdeilles. Camping- There are also many amazing places to camp. 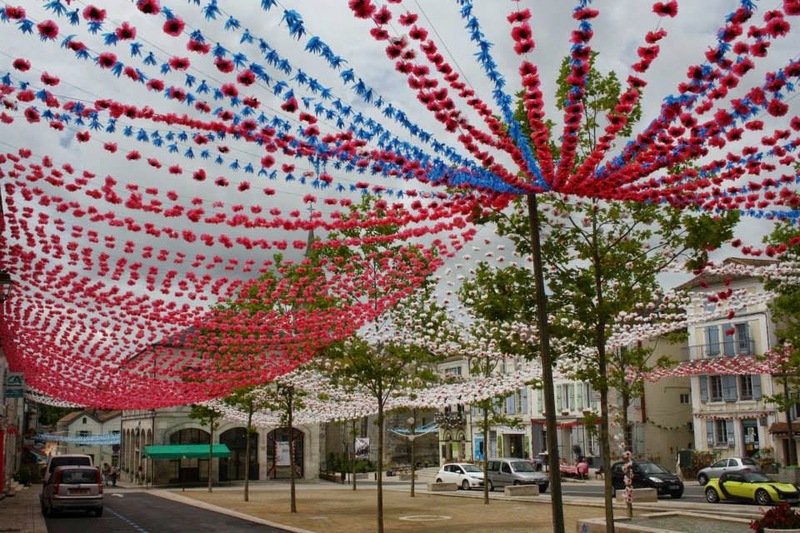 My personal recommendation would be Aubeterre -sur-Dronne where you camp next to a river beach and you're walking distance to one of the livelier villages in the region where restaurants and bars alongside art galleries are plentiful and there is a weekly market. The monolithic underground church is also worth a visit. I would also recommend Camping du Pont in Lisle (ideal for those on a budget also set on a river beach) and not far from here also, La Guinguette de Renamont (very relaxed scene, slightly hippy and has a restaurant and music on certain evenings). Plane- There are airports in both Bergerac and Limoges which are both very close and accessible. If you are getting picked up from Bergerac, make sure not to go right into the car park (only the first 15 minutes are free) and you wont have to pay anything to park. Boat- By ferry, we normally go with Brittany Ferries from Portsmouth to Caen with a nice scenic drive down to the Dordogne. I have done this drive countless times, and it’s a lot less stressful than what you would think. There are plenty of routes without any toll roads, and without having to go on the motorway. In terms of getting around you will need a car, however for anyone keen on cycling, there are many places around and about in easy cycling reach. So that's the first in my travel series complete! I love travelling so really enjoy writing and reading these types of posts. Have you been to France? What did you think of it? This is an amazing post, making me want to visit so much! Love the sound of canoeing especially! It definitely is a pretty part of France! Thank you Shannon for your kind words! Yeah they are my photographs :) Thanks so much, you're so kind! It's definitely worth a visit- and not too expensive too!